A Heatmaster A450 Open Fire is the ideal alternative to the more expensive and less efficient brick fireplace. Whilst maintaining all the charm, atmosphere and character of the open fire, the Heatmaster system with their unique five sided heat exchanger provides up to eight times the efficiency of a traditional brick chimney. 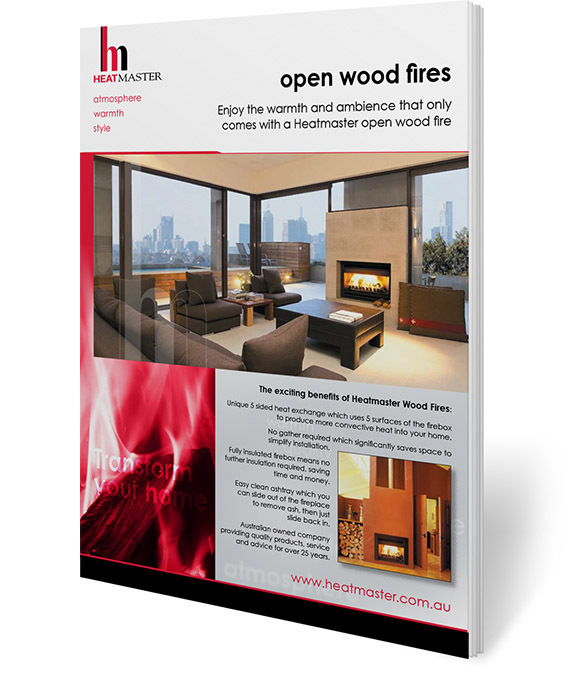 Heatmaster insulated open fires enable you to have an openfire without requiring to brick a chimney. A Heatmaster A450 Open Fire is the ideal alternative to the more expensive and less efficient brick fireplace.